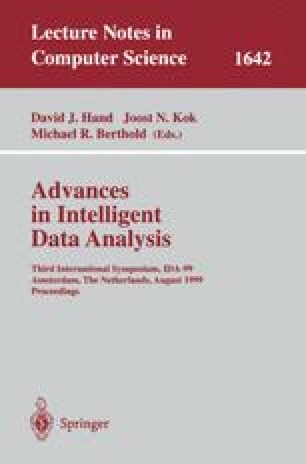 It was previously argued that Decision Tree learning algorithms such as CART or C4.5 can also be useful to build small and accurate Decision Lists. In that paper, we investigate the possibility of using a similar “top-down and prune” scheme to induce formulae from a much different class: Decision Committees. A decision committee contains rules, each of which being a couple (monomial, vector), where the vector’s components are highly constrained with respect to classical polynomials. Each monomial is a condition that, when matched by an instance, returns its vector. When each monomial is tested, the sum of the returned vectors is used to take the decision. Decision Trees, Lists and Committees are complementary formalisms for the user: while trees are based on literal ordering, lists are based on monomial ordering, and committees remove any orderings over the tests. Our contribution is a new algorithm, WIDC, which learns using the same “top-down and prune” scheme, but building Decision Committees. Experimental results on twenty-two domains tend to show that WIDC is able to produce small, accurate, and interpretable decision committees. C. Blake, E. Keogh, and C. J. Merz. UCI repository of machine learning databases. 1998. http://www.ics.uci.edu/~mlearn/MLRepository.html.